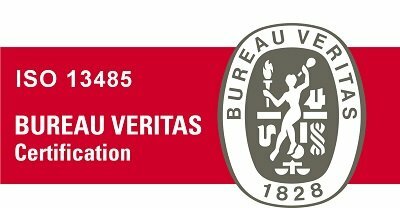 Our 2 sites are certified ISO 13485 by Bureau Veritas, a global leader in Testing, Inspection and Certification. ISO 13485 defines the requirements that medical device manufacturers must incorporate into their management systems in order to achieve compliance in the medical device industry. Based on ISO 9001, the emphasis on continual improvement is replaced with an emphasis on meeting regulatory and customer requirements, risk management, and maintaining effective processes, namely the safe design, manufacture and distribution of medical devices. All our products are CE marked, fulfilling the essential requirements of European Directive 93/42/EC on medical devices as amended by European Directive 2007/47/EC.